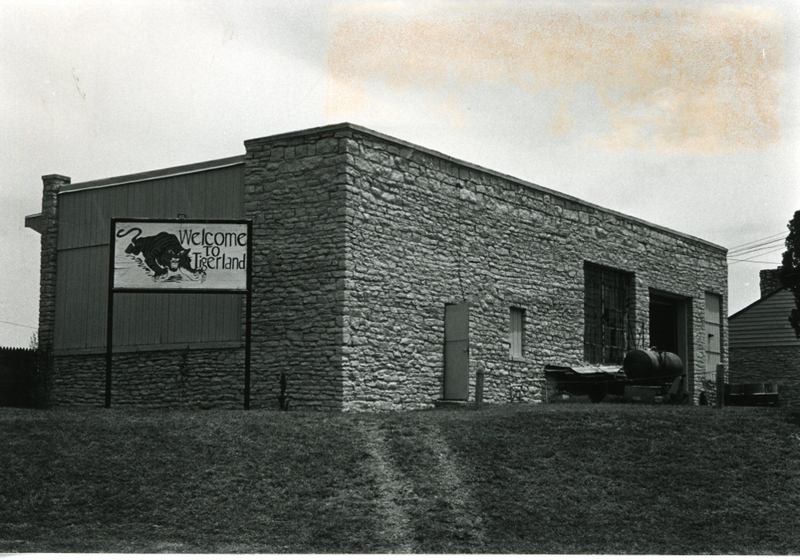 The Konawa School vocational education bu ilding is a single-story, rectangular (64′ x 30′) structure constructed from lightly tooled and barely coursed native sandstone. The roof is flat with parapets on three sides; on the fourth side the roof extends as an eave. 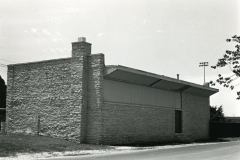 Window openings had metal encased panes, and above the opening on the end wood siding extended to the roof line. All but one of the windows have now been enclosed with wood inserts. 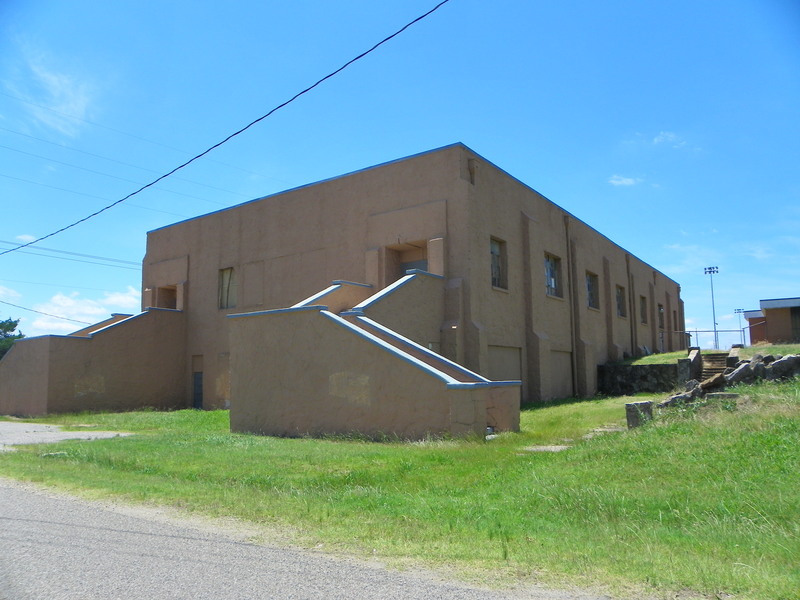 The building was accessed by one garage door and single entryways on either side. The structure’s architectural integrity has not been impeached. 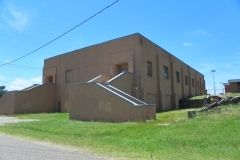 Unlike other school districts in the western part of Oklahoma during the 1930s, Konawa experienced an increasing enrollment. This increase strained the physical resources of the school which had a bonded indebtedness of $5,000,000 and a declining property valuation. Only the timely assistance of the WPA enabled the district to meet this challenge, providing additions to the physical plant as well as facilities dedicated to an enriched and progressive education–vocational arts program. (A gymnasium and tennis courts were also constructed, but because their integrity has been compromised they are not a part of this nomination. An NYA constructed band room is not included either.) 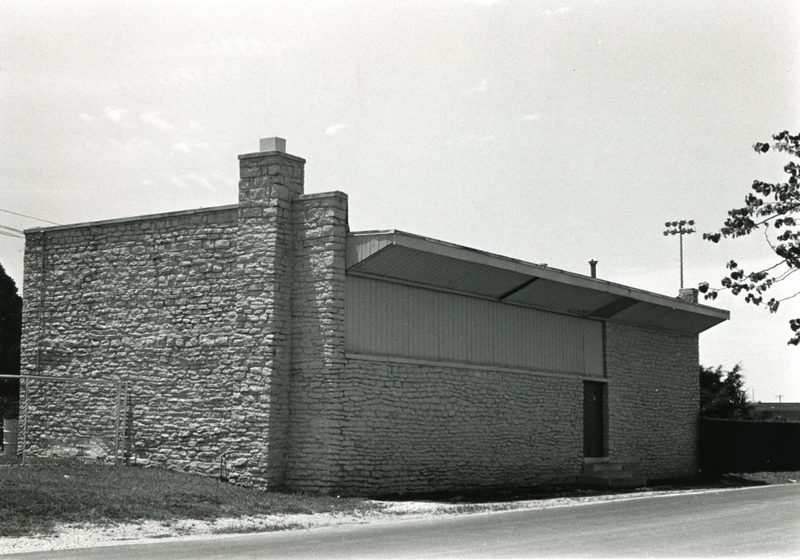 The Konawa vocational education building, therefore, is significant because it symbolizes the critical, educational assistance provided by the WPA construction program, and because architecturally it is unique in terms of type, style, workmanship and materials in the community. Construction also enabled jobless workers to find meaningful employment and a measure of economic security when it was not available within the private sector.